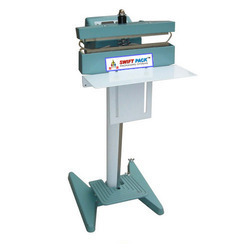 Providing you the best range of cup & meal tray sealer, foot sealer, impulse sealer, horizontal sealer, hot bar foot sealer and table top sealer with effective & timely delivery. We offer Cup & Meal Tray Sealer ideal for packing of industries, such as medicine, food, beverage of pearl milk tea, bubble black tea, fruit, soybean milk, soup of lunch box, cup water etc. Cup sealer can be tailor-made for sealing container in all kinds of shapes, including rotundity, bowl-shaped, rectangular, square, hexagonal and oval. Easy to operate, energy efficient and cost effective, the vacuum packing machines offered by us are available in different models to diverse applications. 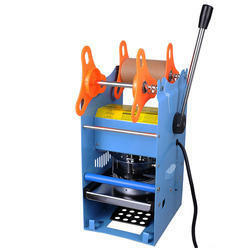 Cup sealer are beautiful in design, small in structure, light in weight, durable. 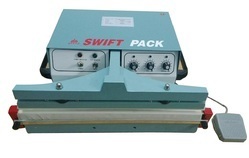 Cup sealer is suitable for various containers made of EPS, PS, PP etc. Cup sealer is widely used in industries, such as medicine, food, beverage of pearl milk tea, bubble black tea, fruit, soybean milk, soup of lunch box, cup water etc. 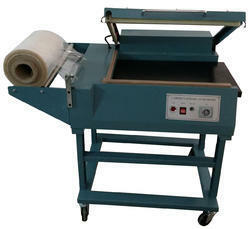 Foot sealer is widely applied to seal all kinds of plastics films, compound films, and aluminum- plastic film. Foot sealers are widely used in such industries as foodstuff, special local products, tea, medicine, hardware etc. 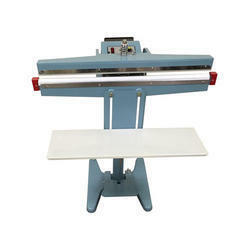 Hand Impulse Sealer with middle cutter is equipped with middle cutter used to cut the bag after sealing, which are widely applied to seal all kinds of plastics films, compound films, and aluminum-plastic film. Hand impulse sealers with middle cutter are appropriate for sealing PE, PP, PA and PVC foil and also thinner double-coated materials. It widely used in such industries as foodstuff, special local products, tea, medicine, hardware etc. They are most convenient and economical sealing equipment for shops, families, and factories. We carry out the detailed processing for our offered range of Horizontal Sealer. They are widely used in by the diverse user and gives a pleasant performance to the user. Our ranges of Horizontal Sealer are obtained using the high grade and qualitative material. Designing of our entire products range is based on running market trends. We are committed to maintain the quality of our entire products range and offer them at feasible prices. With our vast industrial experience, we are serving a wide range of Hot Bar Foot Sealer in the industry. Our Hot Bar Foot Sealer has a long service life and gives a pleasant performance to the user. They are based on the modern technology in compliance with the highly advanced machinery and equipment. Our products ranges are precisely made at highly developed production unit by the use of superior quality of materials.